In the Spam Experts spam quarantine, you can find all messages for all domains that were blocked by the filtering system under the Spam Quarantine. The spam quarantine system is powered by an IMAP back-end, which allows you multiple access options to view and manage your quarantined messages. You can review the spam quarantine either via the Spam Experts web interface OR by configuring your email client to connect to quarantine.spamexperts.com via IMAP. This article outlines the steps needed to enable the spam quarantine in your email client via an IMAP account connection. Caught: All incoming messages which have been quarantined can be found in this folder. It's not necessary to report these emails as Spam again, as they have already been classified as such. These emails will automatically expire. Training Requested: This folder is not used by our system so you can disregard this folder. 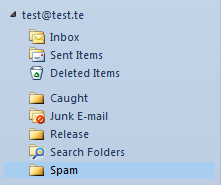 Not Spam: (The Release folder is a better option than this one) Emails drag/dropped from "Caught" to this folder will be reported as a classification mistake to our central systems (it will not be delivered to the recipient). Spam: Emails drag/dropped to this folder from your own Inbox will be reported as a Spam to our central systems (it will not be delivered to the recipient). This is useful to report spam which was not blocked correctly directly from the email client. 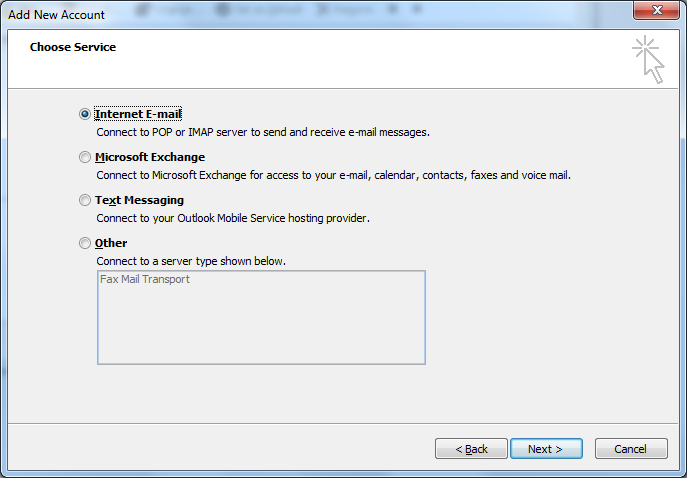 Note: These steps are also similar for Outlook 2007. Open your account settings. 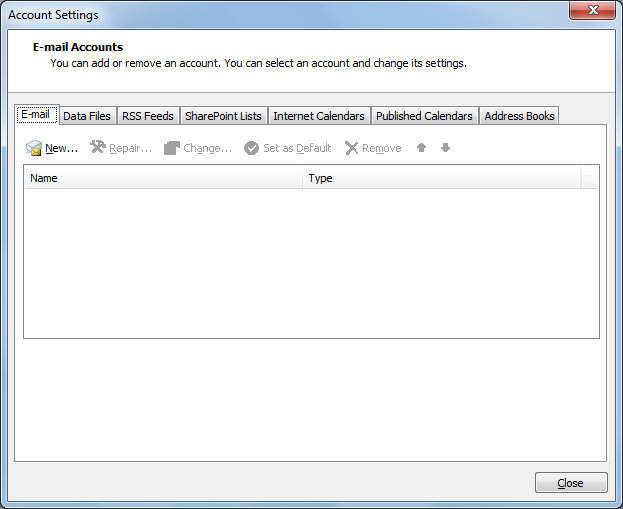 In 2010 this is located in the File -> Account Settings -> Account Settings. Note: If your email client requires outgoing or SMTP information during the wizard creation, try using the same server information. If that does not work, try entering in your domain's actual mail server and login credentials for SMTP. 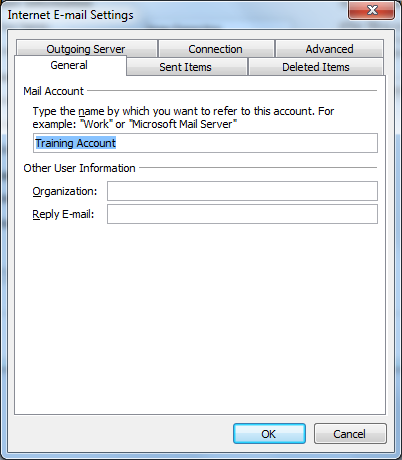 Click on "More Settings" to give the account a better name, such as "Training Account". Close the window and finish the wizard. Uncheck the box that says "Group Similar Folders". You should now be able to see the full list of IMAP folders in the left pane window. If you're having port problems, try changing the port to 993. 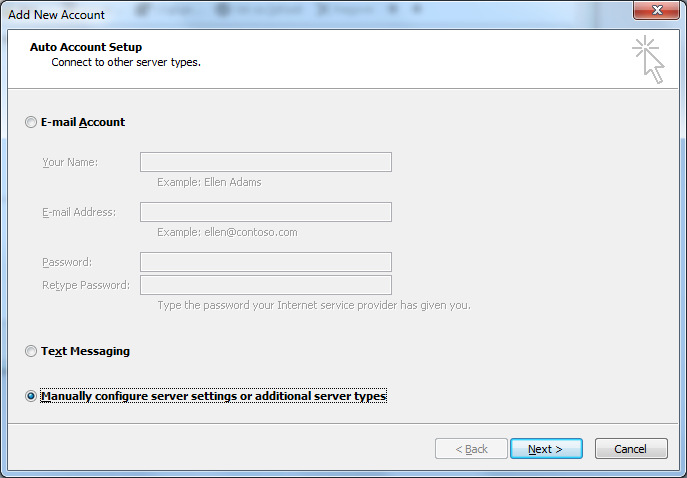 If asked, select SSL/TLS for connection security and select Password for the authentication method. 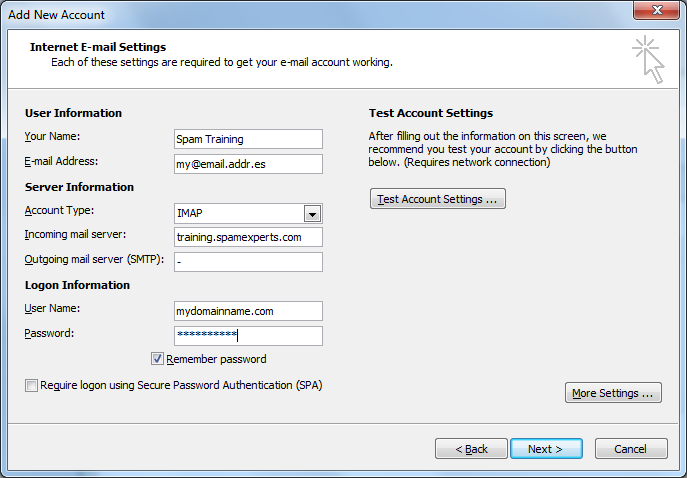 If your mail client account set up wizard requires you to enter in SMTP information use the same settings for the server and login credentials.